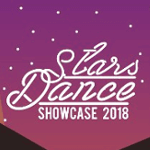 Pacific West is happy to announce the fourth annual off-site dance recital, Stars Dance Showcase, to be held at James Logan High School’s Little Theater on Sunday, June 10th at 3:00 p.m.
Summer Kickoff Party, FREE Fun for Members & Friends! Join the Pacific West Community for a day of FREE fun, games & activities for all residents of Union City, Fremont, Newark, Hayward & surrounding cities. Stop by for relay races in the gym, bubbles, face painting, bounce house fun and more! 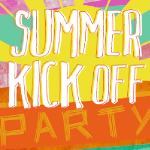 Summer Camp – Plus Special Guests! High energy, structured activities plus weekly Special Guests! Our popular Summer Camp runs from June 14-Aug 28 at both of our locations. Camps include flexible scheduling and morning, afternoon or full day options. Plan a day, entire week or several weeks. Check our our 2018 Special Guests! Compulsory Gymnastics, next Season starts late August – stay tuned! Next seasons updates will be posted soon. We often announce competition results, special events and news on our website and social media. Links are below. 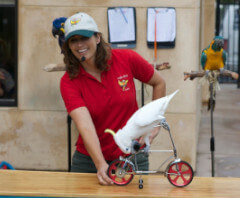 Pictured – Julie from the Happy Birds Show, announced as a Summer Camp special guest, Facebook.